Discover a sassy, squishy new craze with paints as fabulous to touch as the heavenly colours are bright! With this super set of creative fun, you can try out painting in a brand new way. 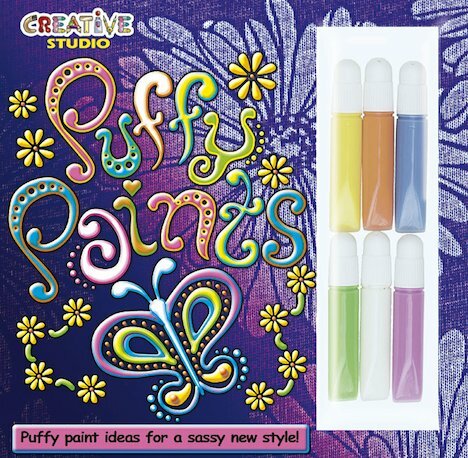 The fluffy, puffy 3D effect paints glow up from every surface in cool textured effects. Make cool patterns and glowing pictures. Decorate cards, notebooks, bags or clothes. Let your imagination run riot! Kit includes a 48-page project book packed with ideas, and six colourful tubes of puffy paint.